What is Diadem you might ask? Well, Diadem is a small American company who is looking to challenge the big names by releasing high-quality products. I did review the Diadem Elevate racquet a while back and I really liked it. So I had high hopes for this Diadem Elevate Tour Racquet Review. The Diadem Elevate reminded me of a HEAD IG Radical MP and after this Diadem Elevate Tour racquet review, I must say this one feels a bit like the Radical Pro. Just a solid, spin-friendly and nice feeling racquet. The specs are close to perfect for advanced players who like a manageable swing weight. If you want to read more about the tech inside the frame, I suggest you check out my Diadem Elevate review here as this one is basically just a heavier version. Most tennis nerds will like these specs. Advanced, solid, yet user-friendly for more advanced players. Simply quite a versatile racquet that fits a large group of players. Let’s say you like the Wilson Blade, Babolat Pure Strike or HEAD Radical? Then this one is a clear contender. 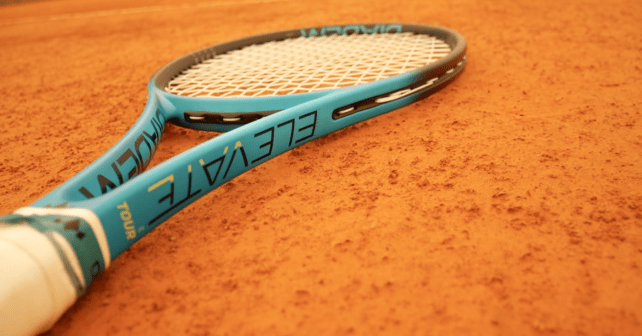 Diadem Elevate Tour Racquet Review – How does it play? This is just no-nonsense, well-performing racquet from pretty much everywhere on the court. It lands perfectly between a Pure Drive style racquet and a Prestige, some power, but not too much. You can then choose the string and tension to either reign in some of the power or add some more. When I strung it up with Solinco Tour Bite , it was a bit more controlled and when I used it with Diadem Flash, it played with more power. There are more precision-oriented racquets out there, but this one works well for pretty much everyone else. I loved it on serve where it packed more power than most 98 sq inch racquets. I think it has to do mainly with the beefier swing weight. Just solid and stable on volleys, nice plow-through on groundstrokes and still maneuverable enough to bump up the swing speed. This play-test reminded me of my Tecnifibre Tfight 305 XTC review. It was just another racquet where I can’t find many faults. It is just an all-rounder with no standout features, but no weaknesses either. Simply, a really nice racquet! So together with the Tecnifibre Tfight 305 XTC and the Angell K7 Lime, this is my favorite 98 sq inch racquet right now. If you want to find out what other racquets I like, check out my Top Ten Tennis Racquets Right Now post. Well done to Diadem for another quality stick! 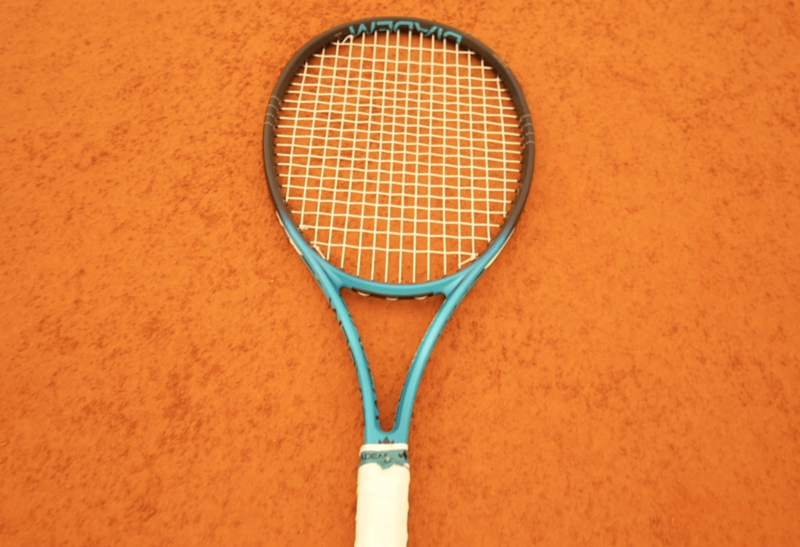 What do you think of Diadem racquets? Have you tried? Do you want to? Please comment below. Hi Jonas; sorry this isn’t to do with this post, but I was wondering: would you happen to have tried the Prince Rebel 95 or Tour 95 (not Textreme), and know if they play anything like the PT630? Just noticed that they seem to be around 325-330g unstrung, very head light, and very flexible. Big fan of your site and videos too! I have tried them and they have a plush, flexible feel not too far from the PT630. Actually, I think they flex even more. A bit too much for my taste, but I know a lot of players love them. It is definitely a good one! And like you, I love 16×20. How would you compare the X-Silver 99 to this racquet?